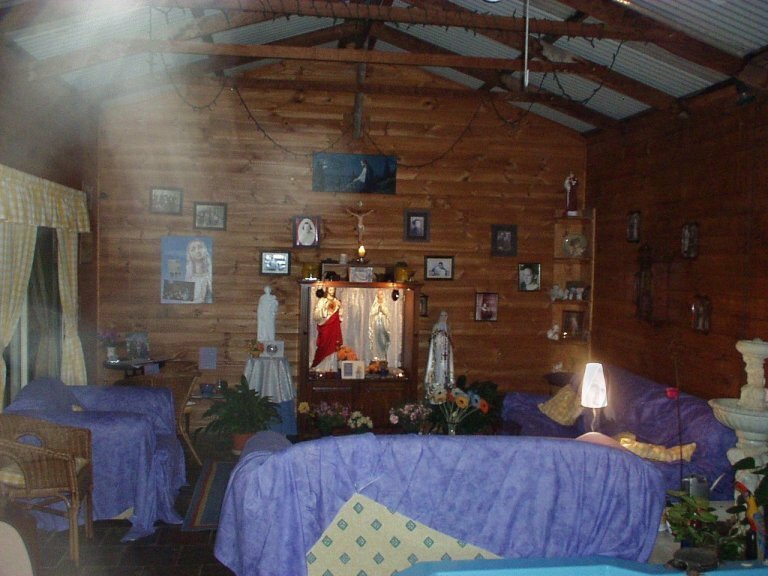 As reported in Weeping Madonna.org - It appears to be a normal picture of the shrine, however, notice the rays of light coming from the top left side. There is no light source here. When the photo was enlarged we noticed the lampshade. There was no digital manipulation done! Left photo is a close up of a lampshade. right image is filtered to bring out the image. See [videos] from the Our Lady of Rockingham. Learn more about these events at [Weeping Madonna.org]. Also see [S.O.U.L. Soup Patrol] and [S.O.U.L Care].